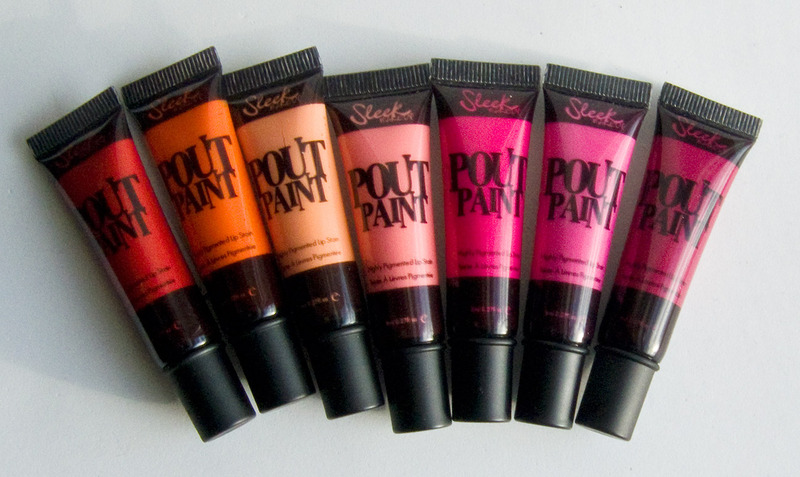 Sleek Pout Paints were launched after the OCC Lip Tars Hit the Market a few years back. I'll be posting a review on the lips Tars Latter this month but will make reference to them in this post for comparison. These retail for $6.99US currently but I got these at $8.99US on the Sleek sales site a few months ago. These ones are troubled to say the least, all of them are sheer to translucent. The behaved like a lip gloss rather then long where product it's suppose to be. I also did a pigmentation test using paper towel to see how much colour are in these shade. When a add a drop of the product to the paper the liquid gets wicked away and you left with the raw pigment. These three completely bleed into the paper with not pigment left on the towel. 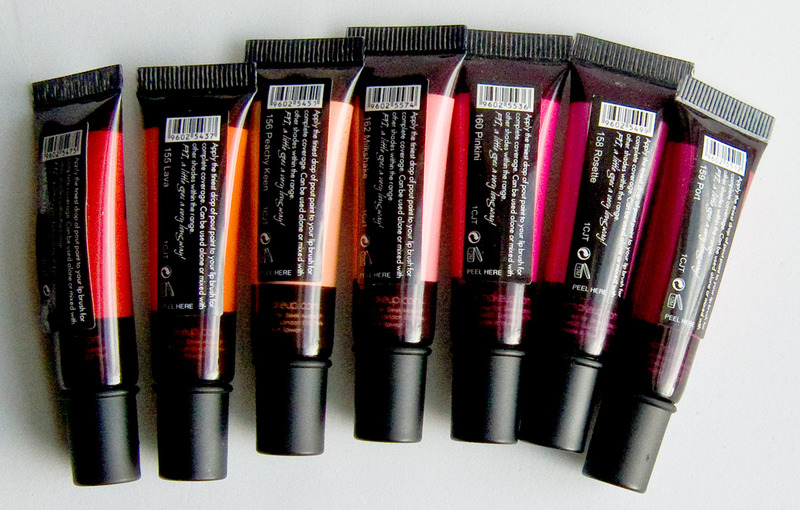 Wear: The Pin Up, Lava, Pinkini, & Port shades wear for 10 hours so long as you don't expose them to oily food. The also wear down nicely to a sheer almost stain on the lips. Peachy Keen, Milkshake, & Rosette only last 2 hours at most on me. Packaging: Squeeze tube with a point tip. 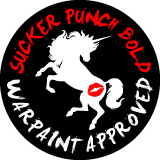 Port is close to OCC Strumpet but Strumpet is darker, it also remind me of Pretty Boy but Pretty Boy is slight lighter and more blue based. 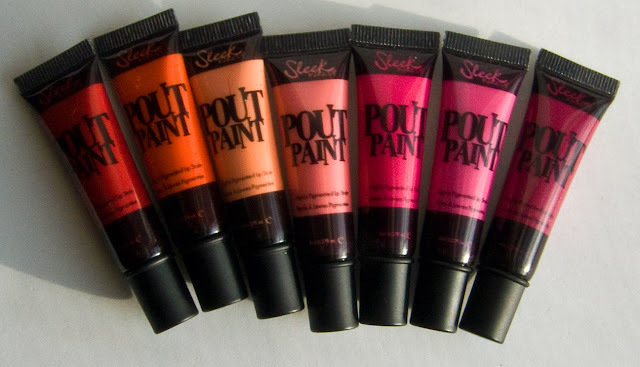 I like the four shades of Pin Up, Lava, Pinkini, & Port shades as they work the way they should. The other ones Peachy Keen, Milkshake, & Rosette I suggest skipping as I've have lip gloss last longer then these three.